Product code: 976 Categories: Sold Items, Sold Rings. 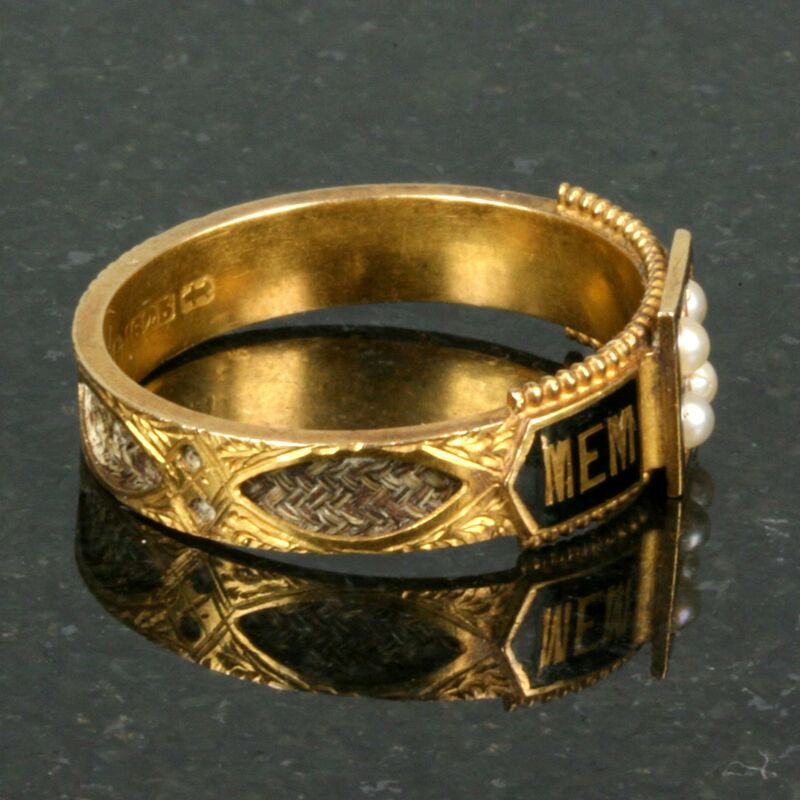 If you love antique mourning rings you will love this one – it has so many wonderful aspects. Firstly, the ring has the word “memory” in engraved black enamel that is still in wonderful condition even after more than a century. Secondly, the pearls are just a wonderful combination set against the black enamel and the 15ct yellow gold, and lastly, hair is entwinded around the band and will be a real talking point. Overall, this is a fantastic Victorian mourning ring for any collector of antique rings.